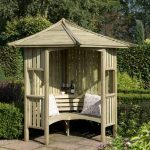 If you’re looking for an eye-catching piece for your garden the Poseidon Swing Seat is more than just a feature! 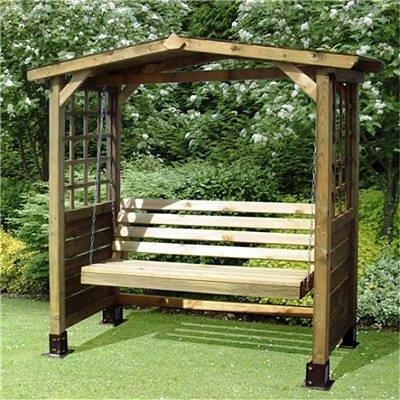 This is a gentle swing with superb wooden styling. 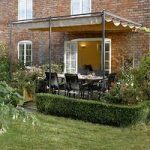 There are side panels with square trellis and a solid slatted roof for shade. 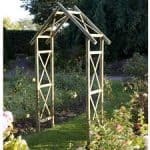 The trellis is ideal for growing trailing ivy or honeysuckle. It comes complete with steel anchored feet to keep it safely fixed to the ground. 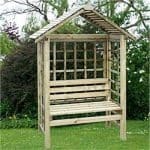 The pressure treated timber means that it is maintenance free and will last for years (it comes with a 7 year guarantee). What a stunner! Arbours are beautiful and I have always wanted one. Finally, for my birthday a month ago my husband bought me one. He had it all assembled for when I got home, but he said it wasn’t too bad to put it together. 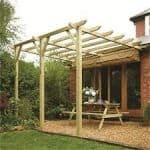 The price was great for an arbour. My husband is great once it comes to knowing how well things are built and he said this was definitely great construction and would last. The seating size is perfect for him and I. I’m glad this is a swing and not just a bench arbour. I have been outside on this every night since I got it. It’s so relaxing. I put some flowers going down the sides of it, and now it looks even more beautiful. This was pressure treated so there is little to no maintenance. I always wanted an Arbour with a swing. I have a great garden that I spend literally days in preparing for show. I have guests and other gardening enthusiasts over and I am happy to have this piece to ad to the decor. I have a lot of unusual garden furniture that this complimented quite well. The price was right and the assembly was easy. I painted it to match the other garden accessories so I didn’t take the no paint as a con at all.